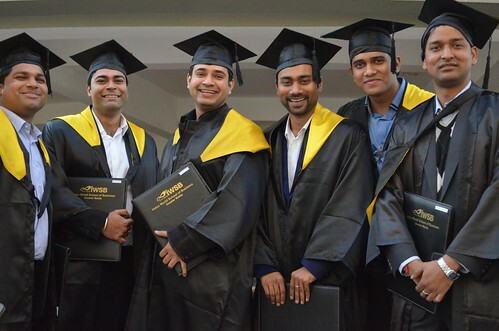 How does an MBA degree/PGDM bridge the gap between where a student is and where he/she wants to be in future? Most aspirants look at an MBA/PGDM program as another degree that has greater possibility of landing them in a lucrative job. It is far from truth. The critical question to ask oneself is – What is going to be my arena of excellence? What is my goal in the next 3-5 years? If an individual has a great deal of clarity and specific goals in mind, then most of the job is done. An MBA / PGDM program is only a means to achieve that goal. If you have a compelling goal in mind, then greater is the possibility of you getting into an institution of repute, as you know that such an environment can make a huge difference in realizing your potential and your goal. An inspiring learning infrastructure and environment that is vibrant and thriving 24X7, through the year. A competitive eco-system where you come across groups of eager learners who explore immense possibilities. They are always on look out for opportunities. They keep pushing their own boundaries, while compelling fellow travelers to push theirs. There are too many instances to share wherein not only many a batch-mate but also faculty who have become co-travelers for life, starting companies and endeavours together, realizing the immense potential each one of us has within. Look at the current entrepreneurial eco-system and the inspiringly successful stories that you read; most of them germinated in a campus, with co-learners as co-promoters. It is not about a degree, it is about a space or a programme that initiates you into a journey of excellence, lifelong. From the industry perspective, which out of these is better, a regular MBA/ PGDM, Executive MBA or Distance Learning? The effectiveness and efficacy of a business management programme lies in its ingredients and structure – higher inter-disciplinary courses, intense interactions between the learners and a hands-on approach to business. This can happen only when the program is a regular one, where you are on a campus for an intense period of a year or two. The choice between a regular MBA and an Executive MBA is purely based on the candidate’s present situation. A candidate with 3-4 years of work experience can go for an executive MBA and the industry is extremely welcoming to the products of both, regular and executive MBA. The B-school should be chosen wisely though. Distance learning MBA programs / Exec MBA with a few contact-weeks could be of value if one has worked for a significant number of years. The conceptual learning added with intense contact-weeks where in you discuss and debate the possibilities, can act as a great cauldron to initiate a few ideas within the experienced, who can explore and experiment in their respective organizations. The process and outcomes can be of immense value. Industry still seems to be skeptical about the Distance Learning MBA programs, especially if the takers are not experienced. With the advent of new e-Learning and m-Learning technologies, Distance Learning MBA programmes will gain more credibility in the future, especially in the context of experienced candidates. What are the resources that students can expect from their college and faculty during the placements and their preparation for the same? A good institution runs like a well-oiled machinery. The processes, both academic and non-academic, take care of building the vision and confidence in most candidates to chase their career and life dreams. It provides immense opportunities to explore and experience, through various live projects and internships. It also enables them to take failure in their stride; see them as a learning experience. Guidance, mentoring and support from the institution, faculty and even co-learners help them win through every challenge they face, placements are just one such. Of course a learning institution is always finding new ways to facilitate. What are the short comings, if any, that the B-schools need to address, in terms of discrepancy in the talent pool of students & the skill-set required by the industry? Most of the top b-schools are already aware of the skill-talent gap and are trying to match the industry requirements by way of having practical case studies, presentations into the course curriculum. Also the summer internship projects take care of the same. Practices in the institution that can facilitate every student to be confident in the real world. Ability to introspect, being observant of oneself, taking initiative, eagerness to learn and ability to communicate are very significant factors for one to excel in career and life. Opportunities to dirty ones hands to explore, experience and learn the business dynamics. Entrepreneurial endeavours needs to be integral to the learning process. What is the role of students in the placement committee? Ideally how should it be? Students usually form part of the placement committee and interface with industry at the stage of inviting them to the campus and overall coordination at the placement time. I keep wondering how many of these institutions really foster an entrepreneurial eco-system. That is the key to the future. Can we enable the students to create job opportunities than looking for an opportunity to find a job? Clarity of thought and goal – what do you really want to do in life? And then apply only to those companies that would take you towards realizing their goals. Honesty – At no point of time during the interview you should lie, brag or exaggerate. Presence of Mind – Mental agility is one thing that can make or break the interviews. Being able to comprehend and think quickly, certainly goes a long way. With good presence of mind, difficult situations can be turned into favorable ones. Sound concepts and logic – Especially for the technical interviews, it is extremely important to have your basic concepts in place. Is there a way through which the candidates can make the recruiters overlook their academic records? A bright future can light-up a dull past. Students should show exuberance and the promise of heading towards an exceptional future. This can only be done by having a solid and steady present. A student’s performance in the B-school is the only shroud that can blanket the dim academic records of the past. Clarity about your future goal, the path that you see and solid performance in the B-school can give enough indicators for the recruiters to look ahead than dig into your past. Should the students consider an industry’s growth while applying or opting for a particular job profile? This is a point of great debate whether the industry performance should be secondary to personal interests or not. Certainly, industry growth does matter. The saturation of an industry is usually a sign of less scope of innovation. But, it is also time for Industry to look for exceptional talent who can replace even multiple role-holders. When Industry is in bad shape, exceptional talents rise fast! A student must be really good in what he does and be judicious in choosing the right job profile for him that more or less falls in line with his aspirations. If a student is from a top B-school, chances are less that he would succumb to the situation. Which sector is hiring MBAs the most and what would be the future hiring trend? One sector which has grabbed everybody’s attention is the e-commerce sector. The likes of Flipkart and Amazon have indulged in aggressive recruiting in the last one or two years. Lately, these enterprises have come across as major recruiters from the top B-schools. The colossal billion dollar valuations of these companies make them appear as an untamed animal on the prowl. Also in demand would be the ever green profiles of – Technology and especially mobility which is playing a big role; Analytics is gaining importance. In India, the entrepreneurial eco-system is just warming up. Instead of asking, “what is in demand, what is the salary”, one needs to ask, “Am I chasing what I really want to do? ; Am I an eager learner? ; Do I dirty my hands? ; Do I have the same enthusiasm at the end of the day, every day?” These will be critical in entrepreneurial organizations. What should the current and prospective MBA students do to increase their job prospects? Being a keen learner in whatever space he is in, being abreast with the world, keep working on his people and leadership skills along with having courage to think out of the box in solution-centric approach..
Good soft skills are almost a must these days. Doing your work diligently needs to be complemented with effective communication of the same. That makes a complete professional who is ready to bear the responsibility of taking an organization ahead. Do the recruiters have any preference in terms of a specialization? Every business needs people from various backgrounds. Every specialization is in demand. It is the vision one has and the passion one demonstrates begets the positions. Have you ever heard of a Chief Belief Officer (CBO) in corporate world? This position was created for a deserving person in the FUTURE GROUP, find out! Recruiters always specify their preferences in terms of specialization before the interview process begins. A BFSI sector company would most probably be going for Finance graduates. A consulting firm may be looking forward to take marketing or systems graduates. Having said that, if you really want to be in a company, work on polishing the skills that is of immense value to that company and just go after the company. In today’s networked world, you will surely find an opening. Are there any attributes which are specific to a specialization or an industry which the recruiters consider while recruiting? E.g. one must be comfortable with number crunching when it comes to Finance. Certainly, the industry expects people who are good with numbers for the finance profiles and people who are more creative and crafty to look after the marketing in their organizations. However, in today’s world, an MBA of any stream should be proficient in multiple skillsets. For example, even Marketing is a game of numbers. The industry expects a Marketing manager to have a good level of comprehension of numbers and data. How much weightage is given to the academic performance of a candidate by the companies? For finance and consulting profiles, consistency in the academic performance is considered and valued. For marketing and systems profiles, this consistency may not be that important as some other attributes of the candidates may cover-up for any deficiency in the academic record. A lot of MBA professionals are going for start-ups instead of big firms. Is it good or bad? What is the reason for this trend? Young MBA professionals going for a start-up shows a great deal about their risk-taking instinct. Not just initiating a start-up but also joining a nascent one is a sign of courage. There is no job security, a start-up may fail. It certainly is a good thing and even those who have failed ventures are regarded and appreciated by the industry. My heuristics suggest that the reason for this trend, this exodus of students from the promising final placement sessions of their B-schools, is the hunger for innovation. This is fueled by the various possibilities, resources and the upcoming technologies. What are the factors to be considered while choosing a B-school? Learning environment – How innovative and facilitating is the environment? What is the methodology, pedagogy of learning?. How hands-on is the program? Does it keep pace with the changing trends in the economy? Industry Reputation & Placements – understanding about how is the industry response during the summer placements and final placements. Finding what companies from which sectors are dominant in hiring from that B-school.This factor majorly determines how smooth a student’s entry into the industry would be. Courses and Specializations – finding the best courses and specializations of the B-school. Assessing whether they are in-line with the candidate’s aspirations or not. ROI – The Return on Investment evaluation should go beyond the monetary aspects. One must also see what the other are takeaways from that particular B-school. Location – This affects the kind of companies that hire and also the opportunities of summer internships. If passion can become profession, nothing else is needed. The greatest challenge for every aspirant is to discover his passion and excel in that space pushing ones boundaries. You need to be special, specializations really do not matter! Having said that, I must say that, students get a great chance of understanding what their calling is during the first year which has common subjects. For the self-driven and self-motivated this much time is enough to identify their specialization. Apart from this, being factually aware of the type of job profiles offered to students of that specialization at that B-school is one factor that should be kept in mind. 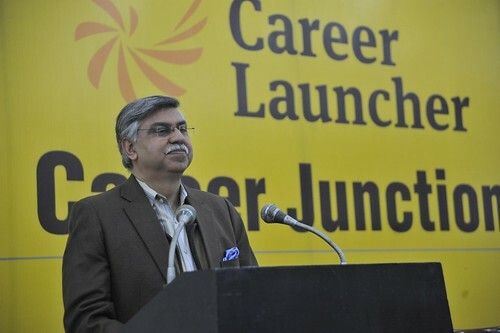 Students need to keep abreast with the current trends and the future prospects of the industry of their interest. – We are the largest producer of veg, milk, …. – You create industrial complexes, suppliers, institutions…..entrepreneurs..
– In the US – steel, auto motives, home were in the order…..
– starting the companies..let us better Singapore; Law, better than Malaysia..
– Sunil changed every model to become the best model in the world..
– Work towards lateral thinking, well balanced and well-rounded personality.